It’s been estimated that Greenville County has more than 5 million visitors each year. With its lush green spaces, arts and culture galore, and quaint downtown shops — it’s not that surprising that Livability gave Greenville the #3 spot on its list of Top 10 Best Downtowns. With that kind of a reputation, it’s no wonder the pedestrians focus on sightseeing instead of safety. When a pedestrian is injured Auger & Auger will send a Greenville pedestrian accident attorney team right out to the scene; in order to document and determine the reality of what has taken place. Pedestrians may assume they are in the right and thereby protected by the painted lines of a crosswalk. Drivers, on the other hand, expect pedestrians to have their wits about them and behave in predictable ways. These presumptions may seem reasonable in theory, yet they are far from valid. Greenville County School District is the largest in South Carolina, and so it stands to reason there would be more children walking to and from school than elsewhere in the state. Auger & Auger believes that it is important to note the increased number of pedestrians, especially in light of a 2016 study conducted by Safe Kids Worldwide. The study, conducted in 2016, watched 39,000 students at the middle and high school level and 56,000 drivers. 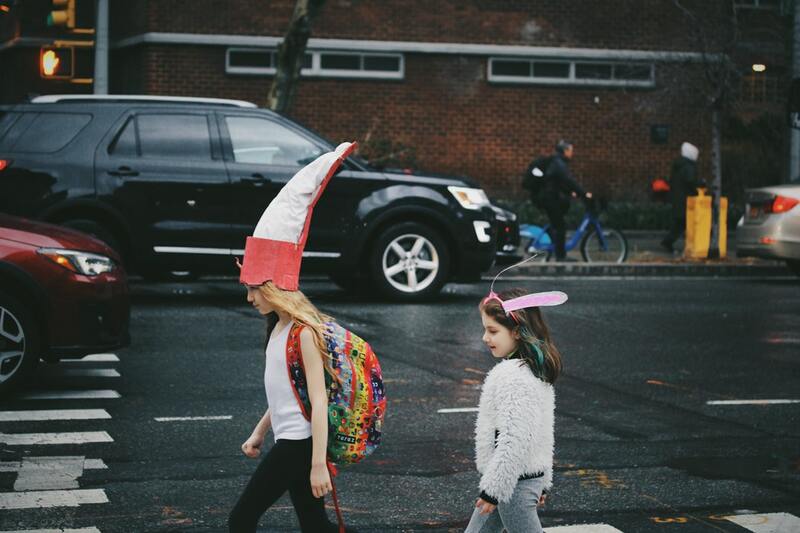 Observers saw 80% of the children cross the street unsafely, 44% wearing headphones or earbuds, and unsafe drop-off or pick-ups in 1 and out of 3 instances. Why is this information important? Because there is an average of 5 teenage pedestrians killed in the United States every week and there has been a steady increase in pedestrian fatalities for children ages 12 through 19. It takes a village to raise a child and that includes keeping them safe. In their report, SafeKids.Org offers suggestions valuable changes. These include identifying high-risk zones and behaviors, education of students and parents, and the enforcement of 20mph speed limits in school zones. Schools are also urged to implement and enforce drop-off and pick-up policies. For their part, drivers can remain alert when operating their vehicles and expect the unexpected. Don’t assume that a child will only use crosswalks to enter the roadway. Maintain a low speed and constantly scan the area for children on foot and on bicycles. Our Greenville pedestrian accident attorney understands the turmoil you are experiencing. If you or your child has been struck by a vehicle, the aftermath can be catastrophic. You have the right to be compensated for your physical and emotional pain as well as your financial losses. Auger & Auger brings over 50 years of combined litigation experience to the table, and we are ready, willing and able to take your claim where it needs to go. We don’t believe that strong and determined representation should add to your financial burden. Instead, our zero-fee guarantee gives you the break you need right now; no retainer is required and your consultation is free.